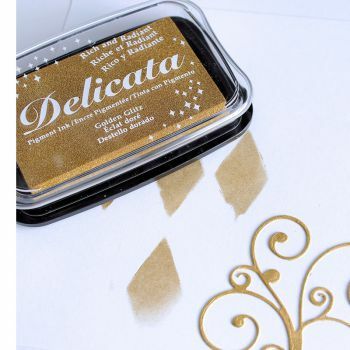 Designed for today's crafters and scrapbookers, the Brilliance Dew Drop™ inkpads feature enticing shades ranging from primary brights to pearlescent jewel tones and rich metallics. Compactly sized, with both a round end and an elongated tip, the versatile petite inkpads are colourful, collectible and free standing. See the amazing range of inks currently available!